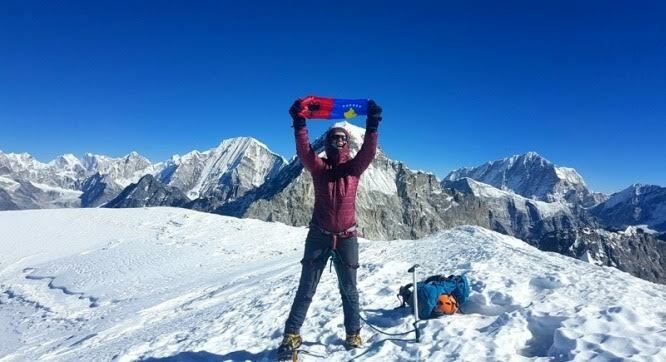 Kosovo climber, Uta Ibrahimi is the first female climber who has conquered the peaks of the Himalayas. She has completed the four week winter expedition in the Himalayas. The climbing has started in the village of Jagat, 1200 meters above sea level and continued for 7 days, until reaching a height of 4200 meters above sea level. “Besides improving climbing techniques, this experience has shown what is to be a real climber with high peaks all around, temperatures as low as -20 and danger at any step of the way. Only the Himalayas can offer such experience”, said Uta Ibrahimi.